We welcome millions of visitors each year from the UK and overseas including over thirty million passengers travelling through Gatwick Airport each year. Sussex Police serves the rural and urban counties of East and West Sussex as well as the cosmopolitan cities like Brighton & Hove. We are committed to public service by keeping the residents and individuals who visit Sussex safe. Many of our Officers and staff are recognised by the uniform they wear, however, Sussex Police has almost 2,700 police officers, 2,100 police staff and a team of dedicated volunteers that includes Special Constables and Police Cadets. We make best use of our resources in catching criminals, reducing the number of reported crime and take a proactive approach in partaking in National and Local campaigns. We have a variety of specialist teams including public order, roads policing, serious and organised crime and counter terrorism. Many of our Officers work with colleagues across Surrey, Kent and Hampshire as well as HM Coastguard to provide the most effective cross-border policing for the south-east of England. work is much lower in profile but no less important: we find missing persons, protect vulnerable residents and keep our communities safe. Behind the scenes, police staff collect intelligence and run the operational side of our organisation so that our frontline officers can do what they do best. Our Officers, staff and volunteers are innovative and keep looking for ways to improve our services. You too can help by joining our organisation by becoming an Officer, PCSO, Special Constable or as a police volunteer. 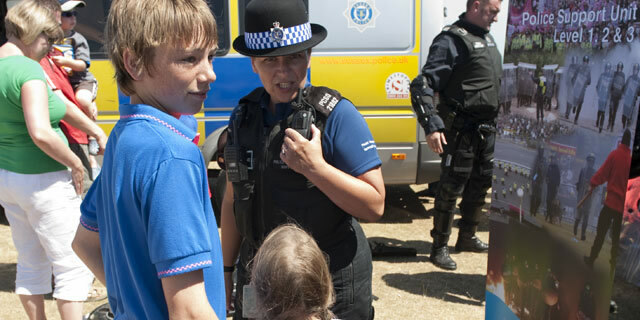 You can learn to develop your skills, gain new experiences and try things you have always wanted to do and learn more about what Sussex Police does. For more information visit our website www.sussex.police.uk or contact your Local Policing Team.